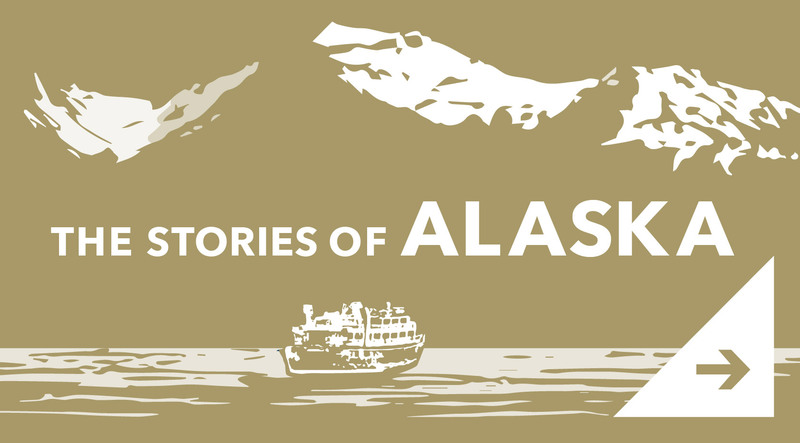 with Lindblad Expeditions and Planet Forward in August 2019! See the Storyfest 2019 finalists! 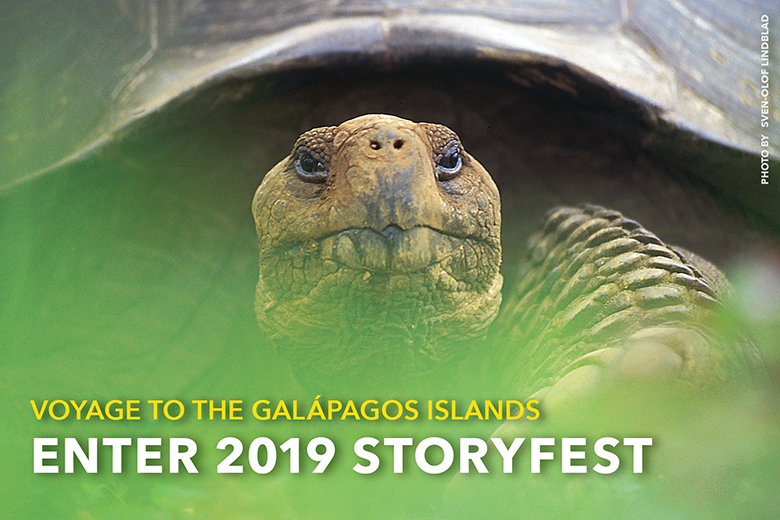 See ALL of the Storyfest 2019 entries. In every corner of the planet, amazing people are working hard to figure out solutions to the environment’s biggest challenges. These are stories that need to be shared. And who better to tell them than the planet’s next generation of leaders? The Planet Forward Storyfest Awards recognizes and rewards the best and most compelling student-told stories illuminating environmental issues and solutions. We are looking for both substance in the story and creative execution. Be memorable. Have impact. Have fun. Best-Written Article: Paint a picture of an environmental challenge through your words - and then identify a character who’s working to overcome that challenge and who hopes to achieve a worthy outcome. Include interviews with 2-3 primary sources, and construct a compelling narrative with a clear story arc through these sources. Articles should be 600-1000 words and include a minimum of 1 image. Your image can be stock, but it preferably should be authored by you. Best Video: Let your characters tell their stories directly, and let viewers see the innovations for themselves through video. Video entries must be 2-4 minutes, HD quality, and pieces must be uploaded to Vimeo or YouTube. All videos should include a paragraph or two (50 to 200 words) of information about your story – but don’t give away everything in your video; entice viewers to watch it. Note: If the entry is a longer documentary, submit a trailer that satisfies the run time requirement. Best Short or Sharable Video: Challenge yourself to a shortform story told in 30 to 90 seconds and create the perfect viral video about an environmental issue that has a great solution. 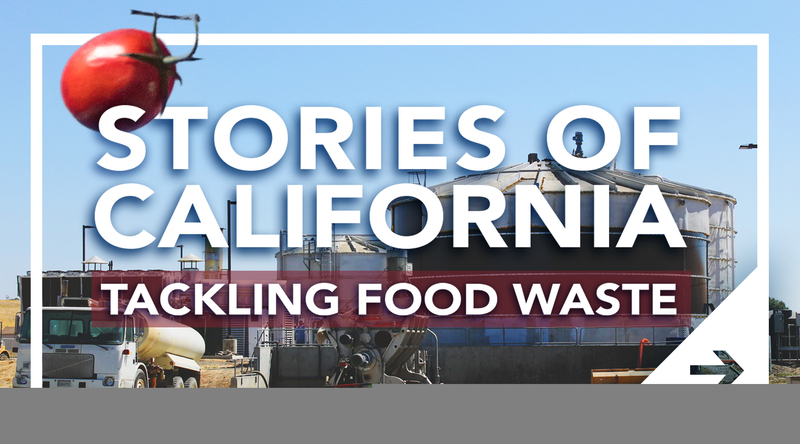 Educate and inform viewers through visuals and text in a shareable video format. Videos must be HD quality and uploaded to Vimeo or YouTube. Best Podcast: Like video, audio pieces are all about the details, sounds, stories. Use sound to set the scene and transport listeners to the place where your story is set. Develop characters who speak for themselves and share their stories, complete with setbacks, frustrations, breakthroughs and a resolution. All podcasts should be 3-15 minutes of HD quality audio, and must be uploaded to SoundCloud. Best Multimedia or Photo Essay: There are some historical images that are forever seared in our memories. Craft your own work of memorable photojournalism though a photo essay or an article with a video or slideshow that tells the story of an environmental challenge, featuring a solution or progress in surmounting that challenge. Include a 2-3 minute video or select your best 5-15 photos, 150 dpi minimum, to include with your written text. What can your stories be about? Food: How can we feed the planet, grow better food, stop wasting so much of it? Water: How should we use it, conserve it, clean it, get it to places that don’t have enough of it? Energy: What are new ways to get it, make it cleaner, use it more efficiently? Mobility: What’s a better way to get around, reduce congestion, minimize the impact on the environment and the climate? The built environment: How should we build for the future? What are the new materials, technologies or designs that will make better homes, offices, neighborhoods, cities and towns? Biodiversity: How do we preserve and foster our vital ecosystems? Compelling characters: The story of a character, working to move the planet forward, and told in an engaging way, is one of the key elements to a great story. Creative storytelling: Tell your innovation story in a creative way - either through media format or storytelling technique (e.g., infographic, video, music video, poem, art, etc.). Science or data storytelling: Delve into explanatory storytelling - use science or data to tell the story behind an innovation or idea to move the planet forward. Explore using metaphor, revealing a discovery as if you were solving a mystery. An innovation story: Focus your piece on a scalable and/or inspiring innovation that has a great chance to change the world in the future. Grand prize winners will travel with Planet Forward and Lindblad Expeditions for an unrivaled expedition to the legendary and unique ecosystems of the Galápagos Islands, and report on the unparalleled stories found there. Students will accompany Planet Forward director Dan Reed, and Planet Forward founder and former CNN Washington Bureau Chief Frank Sesno on the National Geographic Endeavour II, a 96-guest ship, from Aug. 16-25, 2019. Students will explore — on land and in the sea — under the guidance of an expedition leader and a team of naturalists, including a Lindblad-National Geographic certified photo instructor and an undersea specialist. The ship's expert team will host educational talks aboard the ship. Sesno will be your editorial guide to help shape the stories that will come from the experience. Overall potential impact of the featured idea. All submitted work will be reviewed by a committee of journalists and sustainability experts not affiliated with Planet Forward. Please note that team entries are limited to two team members. Both team members will be recognized at any university award presentation; however, only one travel Prize will be awarded for the entire team. See the Official Rules for more information on team entries. Any story submitted on PlanetForward.org between July 1, 2018, 12:00 am EDT, and the deadline to submit stories, Sunday, March 3, 2019, at 11:59 PM EST, is eligible for Storyfest 2019. 1. Review the Official Rules, then log into your PlanetForward.org account, or create a new one. 2. Draft your story on the Planet Forward website. 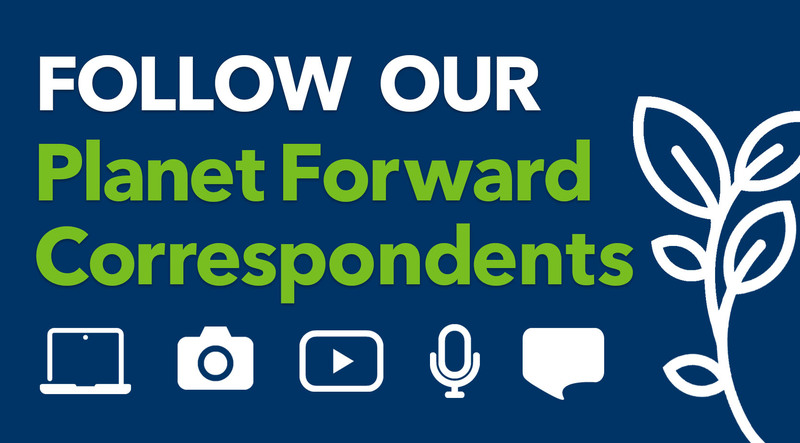 Email editor@planetforward.org with any questions or assistance. 3. Complete the Storyfest Entry Form.